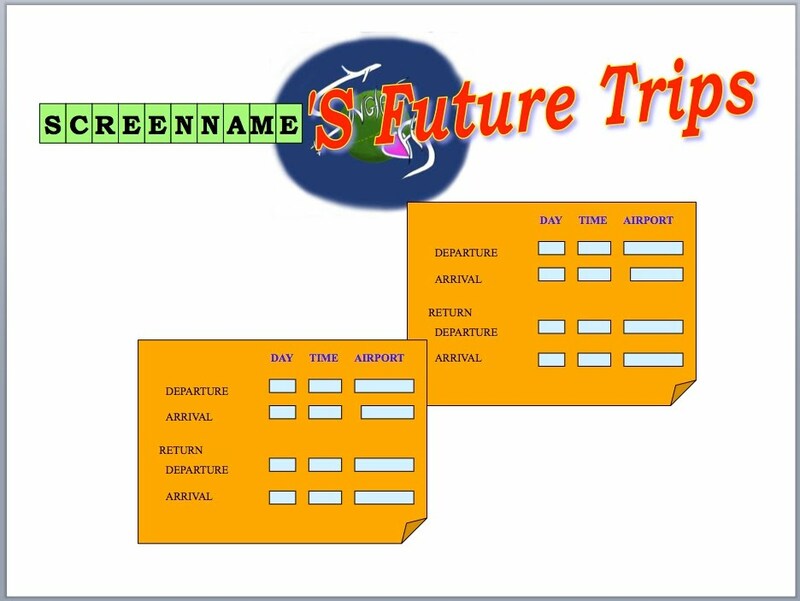 A member may choose to import their upcoming itineraries into their “future trips” page on “SinglesFly.com”. This will allow other members, once they import their itineraries, to be alerted/notified that that member and they, share a similar itinerary. Such members may choose to make contact with each other in anticipation of such future trip, where they will be traveling on business (or pleasure) to the same destination during the same dates. The boxes showing a member’s upcoming itinerary include location and times of departure and arrival. According to these details, the system may generate an alert, to members, one hour before their scheduled departure times, to initiate a “chat date at the airport” with other members who happen to be traveling from the same airport at the same time, or from other locations to the same destination. Such “chat-dates” may lead to actual dates on the road.